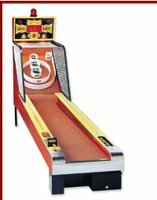 I’m wondering if getting an agent to champion my book proposal is like playing Skeeball. I always want to go for the slots in the upper corners. They are worth 100 points if you get the ball in. But if you miss and your ball falls to the bottom slot, you get zero points. As a result, I usually stick with the safer, and more reliable, 50-point slots. Or at least they are more reliable for me. I'm pretty good at Skeeball. I attended an all day seminar for people who want to turn their idea into a published book. Outside of having the seminar leader tell me that she wants to take me on as a client so that she can champion my book project, I heard the best thing I could hope for at my one-day seminar on turning your idea into a published book. “You’re doing all the right things,” she told me more than once during the six-hour class sponsored by Media Bistro. And who doesn’t love praise? It felt great to hear that my hard work has produced a sound strategy and a compelling two-minute pitch. It’s nice to hear that I’m doing the right things when it comes to writing query letters, organizing my book proposal, contacting agents who have represented authors in similar genres, and trying to get a sample chapter published in a magazine. But there is something about that sentiment that is truly disheartening. If I were truly doing all the right things to get my book published, then I would already have an agent and a book deal and a publisher. To be fair, she did offer a few suggestions on how to make what I’ve produced even better. I’m going to make those changes, tweak my proposal, and create an online presence around my book idea. So I guess I’m not really doing everything right. Maybe that was just part of a praise sandwich. 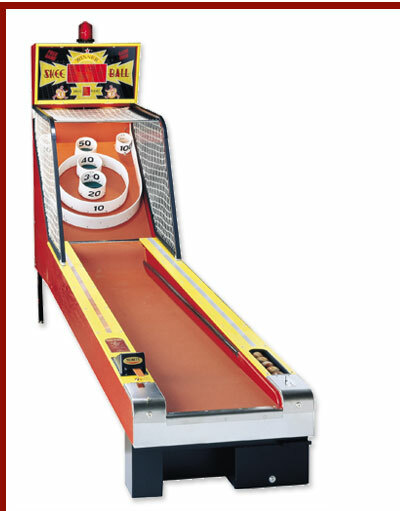 Getting praise and decent feedback is like racking up a respectable Skeeball score. But in the quest to get published, only getting half of what I need is like getting nothing at all. Maybe just doing almost everything right isn’t right enough. I need to stop shooting for those reliable 50-pointers. Hopefully a few more tweaks, along with my boosted confidence, will help me land in that most coveted place -- in the determined hands of an amazing literary agent.